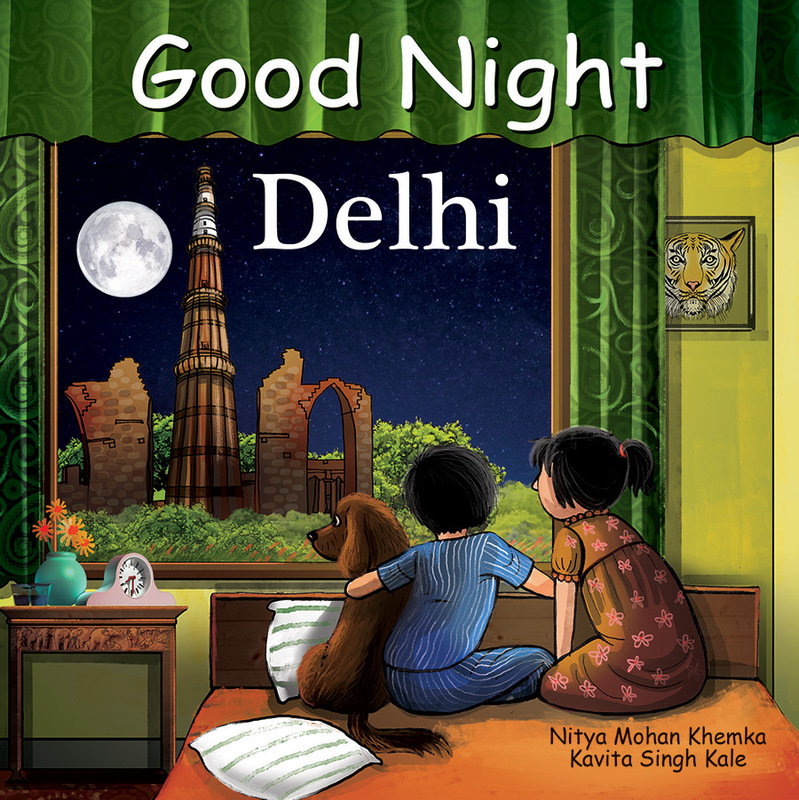 Good Night Delhi highlights Janpath Market, Bangla Sahib Gurudwara, Lodi Gardens, Humayun’s Tomb, Deer Park, Red Fort, Jama Masjid, Qutub Minar, National Zoo, Old Fort, Bahá’í Temple, the National Rail Museum, and more. 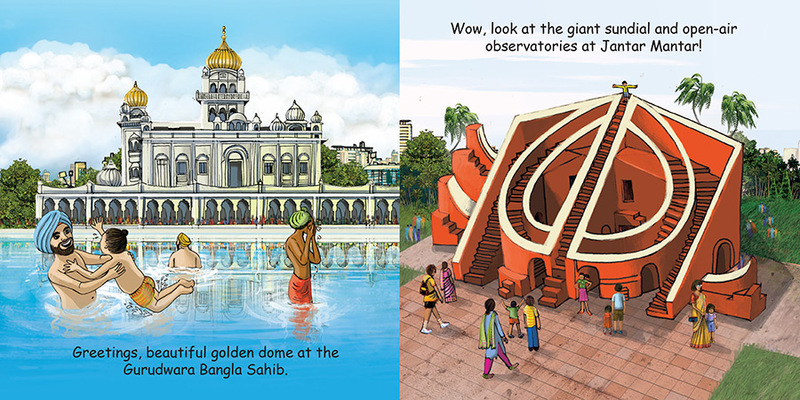 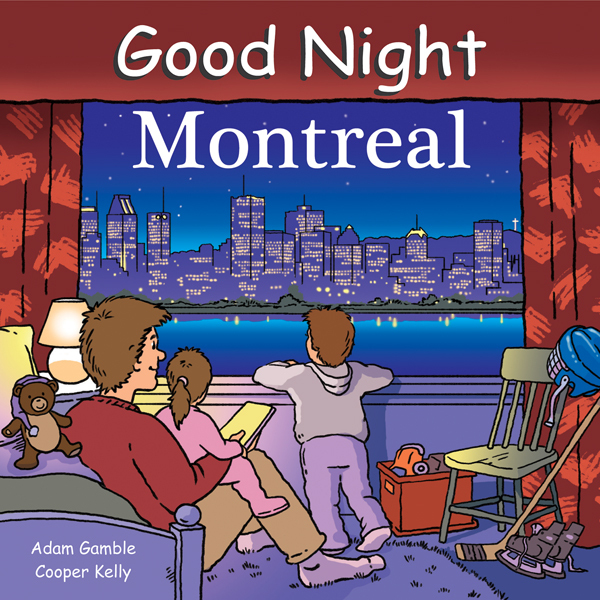 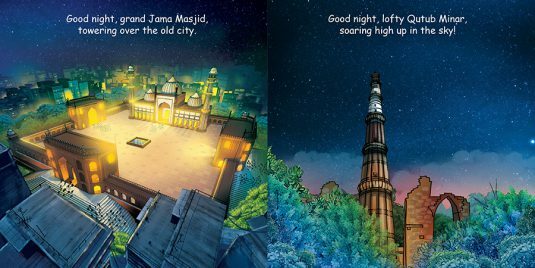 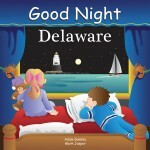 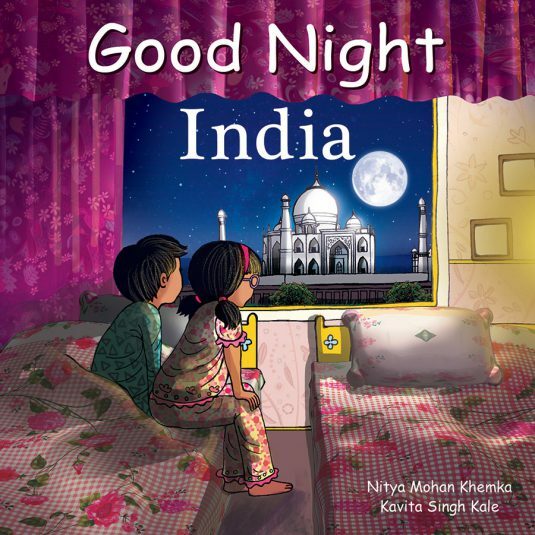 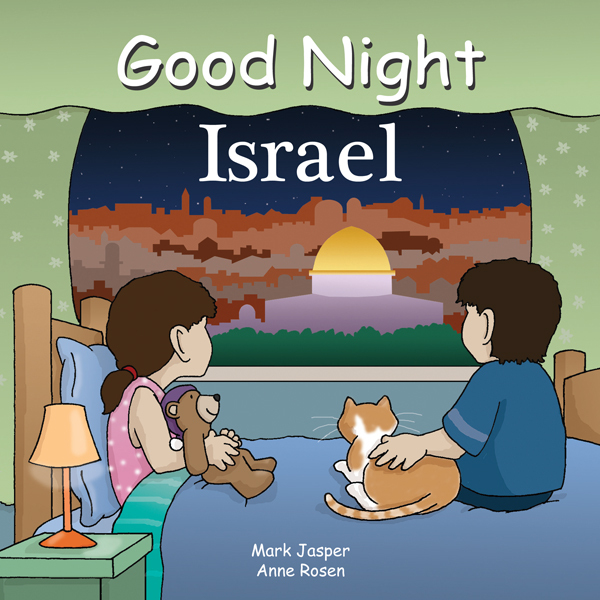 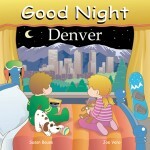 This educational board book explores all of the sites and iconic landmarks this dynamic city has to offer. 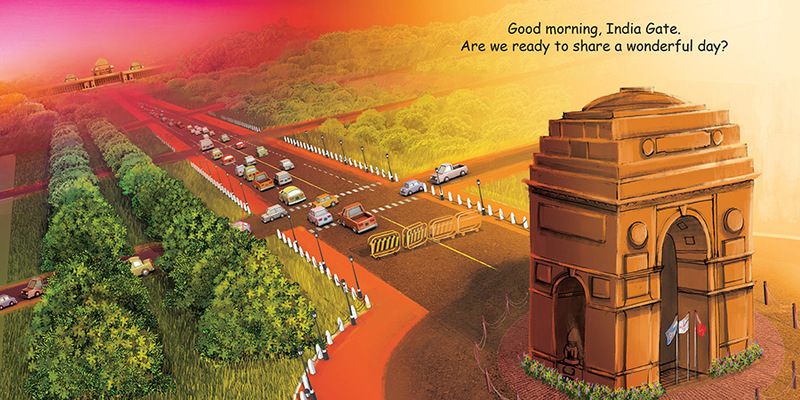 Welcome to the capital of India!